The next generation of multiscreen advertising isn’t just about finding your audience on any screen; it’s about finding them on every screen. To truly engage with potential customers, it’s essential to reach them wherever they watch video content. We can connect you to your audiences however they watch – whether on their TV, laptop or mobile device – and put your message on the hottest shows and digital destinations. Check out our updated media kit and find your audience today. Cable TV advertising puts your brand front and center with the people who matter most. With dozens of demographically targeted networks and thousands of shows, we can find the right audience for your message, all day, every day. Your customers will see and remember your name during the programs they enjoy most. Comcast Spotlight unites the prestige of TV with cutting-edge technology, giving you a branding platform that puts your message in front of your audience efficiently and effectively. Your potential customers are watching more video in more places—on TV, online and everywhere else. And they’re watching high-quality video produced just for the web more than ever before. Our premium digital advertising solutions put your message in front of your desired audience whenever and wherever they watch. We run your video advertising message within brand-safe and high-caliber entertainment content, reaching engaged potential customers. Our reach extends beyond cable subscribers to include cord cutters, cord stackers and cord nevers. 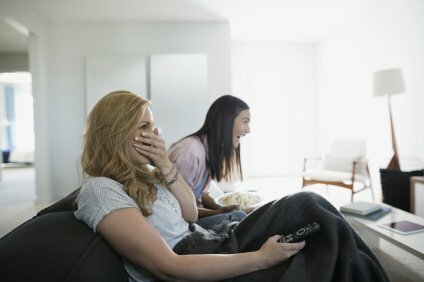 Premium Digital TV allows you to engage with customers watching TV and digital programming on their computers, phones, tablets and connected TV devices. Our reach extends to customers watching non-skippable advertising on Xfinity Video On Demand and on OTT-connected TV devices. We deliver geographically at the market and cable zone level, providing premium efficiency. We offer brand-safe, high-quality programming and proof-of-performance reporting. Premium Digital Video puts your message in front of your desired audience across devices, all the time. We run your video on brand-safe and high-caliber content. We provide high-visibility pre-roll and mid-roll placement in professional-quality video content. Hundreds of custom-created audiences are available in a range of categories to provide you with exceptional targeting opportunities. Xfinity.com is the high-traffic, content-rich destination where our 23+ million internet subscribers go to stream long- and short-form videos, check email, manage their accounts, read the latest news and more. You benefit from all that activity — reaching your desired audience through streaming video ad placement, well-positioned banner ads and text links, all in a clutter-free environment. Advertising on Video On Demand puts your message in front of an engaged audience, aligning your brand with powerful programming that your potential customers choose to watch when and how they want. We deliver highly valuable impressions by running your ads in top-quality content. *Video on demand solutions are sold through Premium Digital TV. Comcast Spotlight’s targeting capabilities work with precision by combining our anonymized first-party viewer data with third-party geographic, demographic and psychographic data to work to identify your ideal audience. We then deliver your message to the selected target audience. Comcast Spotlight gives you the ability to view the successful delivery of your campaign through metrics and proof-of-performance reports. Our proprietary report combines engagement metrics for every part of your digital campaign in one comprehensive deliverable. At Comcast Spotlight we can show the impact of cross-platform video advertising on our clients’ overall web traffic. Our expertise is complemented by industry-leading analytics platforms to provide the ability to see and understand campaign effectiveness in driving website traffic over a period of time. Our library of case studies shows the IMPACT of advertisers’ campaigns by analyzing our clients’ web traffic across multiple categories. We can also analyze new and current clients’ historical web traffic to help optimize their spend to reach their audience in the most effective way.